We believe in a long-term relations in a good style and that is why Frogriot prepared a set of promotional activities in the Internet for Orsay. This time we had to generate some buzz around the new Modern Romance collection and support its sales. 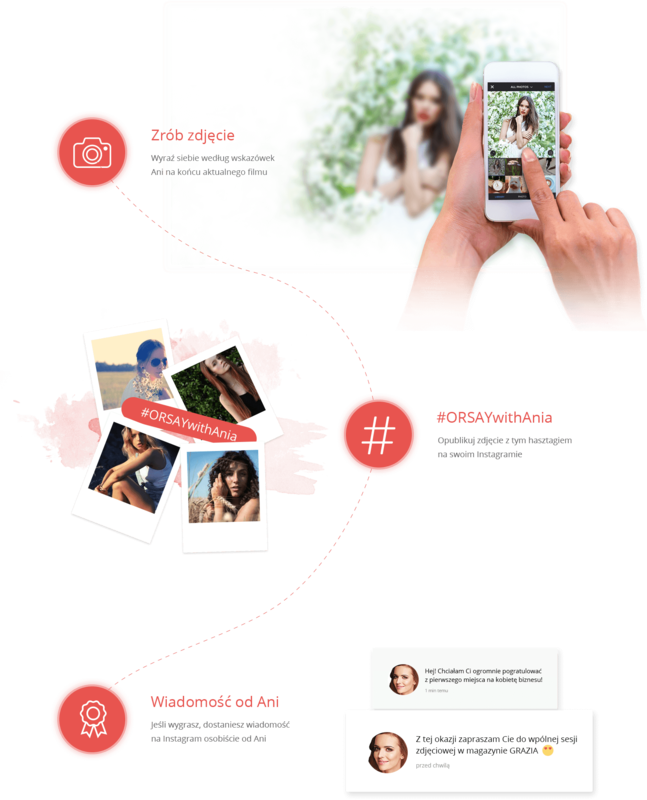 This is how the Modern Romance campaign, featuring a renowned journalist and vloger, Ania Wendzikowska, was created. We were responsible for preparing the creative concept, giving strategic support, designing the front-end and back-end technology of the website, choosing the outfits for the campaign, as well as for the general co-ordination activities. Hand in hand with the famous journalist and Orsay vloger, Ania Wendzikowska, we have prepared three videos presenting some views on the style, fashion, and femininity. In each of these videos, Ania talked with people from the world of fashion to find out the characteristic features of a romantic, a classy woman, and a businesswoman. The action was combined with a competition in which the grand prize was a photo session of the lucky winner and Ania for the prestigious “Grazia” magazine. The centre of command was a fully responsive website prepared by Frogriot with a separate video section which was cleverly merged with the section presenting the latest Orsay collection. The website also contained a specially designed competition section in which the prizes were presented. Owing to API designed and programmed by Frogriot, the responsive website application was able to import competition entries directly from the Instagram profiles of the users, using proper hash tags. Moreover, the site integrated vouchers with the Orsay on-line store. Hundreds of participants, amongst whom were many fashion bloggers, this campaign translated into a several millions of viewers of the Modern Romance campaign.